Lynn Brown is a shamanic healer and teacher. 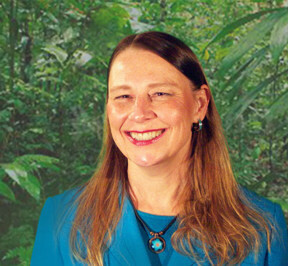 She is certified at the Master Level in Energy Medicine by Dr. Alberto Villoldo and The Four Winds Society, and she is initiated through the Inca Shamanic Lineage. As a former NASA Engineer and Scientist, Lynn’s fascination with the space program and quantum physics led her to seek a deeper understanding of the spiritual laws of the universe and how to apply them in the living of life. Lynn offers private sessions, and she teaches classes in the ways of the Shaman (Ayni) Medicine Wheel talked about in Alberto’s books, Shaman, Healer, Sage and The Four Insights. In her healing sessions, Lynn focuses on clearing imprints from the luminous energy field that predispose us to disease and behaviorial patterns, to re-write genetic code and heal at the blueprint level of being. Lynn also provides nutritional analysis and wellness coaching to her clients. In her classes and workshops, through hands-on activities and techniques, Lynn teaches how to live the AYNI Medicine Wheel and the way of the Earthkeepers. Lynn’s background also includes 10 years of teaching children and adults in the practice of Aikido, the way of Harmonious Spirit. She holds a second degree black belt from the Aikido Association of America and is a registered instructor through the Seishinkan Dojo training program. Lynn is also certified in Reiki 1, and she practices Kiatsu. She is a classical pianist and an experienced dancer. Lynn currently teaches low impact yoga classes in Ashland, Oregon. Lynn holds an M.S. in Space Technology, a B.S. in Physics, and a B.S. in Education. She has decades of experience in corporate management, engineering, business, education and leadership training. Lynn currently serves on the Board of Directors for an LLC. What Lynn enjoys most is participating in the vast variety of quality experiences and relationships that life has to offer. She has learned that personal growth comes through what can be learned and realized through our relationships with others. Her training with the Inka medicine wheel brought that understanding to a whole new level; it was a quantum leap for her. This is why she loves sharing this ancient body of knowledge with others.